Police are currently at the scene of a fatal collision involving a motorcyclist on the Monash Freeway this morning. Investigators believe a motorcyclist has died as a result of a collision with a truck near the Blackburn Road on-ramp inbound about 8am. The driver, who is yet to be formally identified, died at the scene. Any witnesses or anyone with dash-cam footage is urged to contact Crime Stoppers on 1800 333 000 or submit a confidential report online at www.crimestoppersvic.com.au. The Monash Freeway is closed to city-bound traffic at Springvale Road following a serious collision. 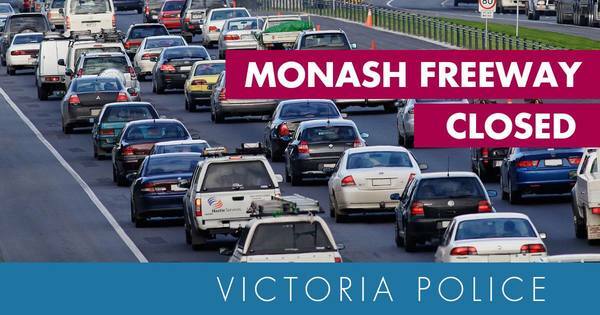 Motorists should exit the Monash Freeway at their earliest opportunity and use the Princes Highway as an alternative. Traffic signals are being adjusted by VicRoads, however delays are expected. Previous articleHave you seen Bol?